It was all part of a special kind of medical fitness test for older patients that's starting to catch on among cancer doctors. Instead of assuming that elderly patients are too frail for treatment or recommending harsh drugs tested only in younger patients, they are taking a broader look. Specialists call these tests geriatric assessments, and they require doctors to take the time to evaluate physical and mental fitness, along with emotional and social well-being. They also take into account the patient's desires for life-prolonging treatment regardless of how much time might be left. An avid walker with a strong network of nearby family and friends, Simpson, now 80, says she "wanted to do the maximum I could handle" to fight her disease. She scored high enough in her 2017 evaluation to proceed with recommended surgery and chemotherapy. "It gave me encouragement. Then I felt like I am OK and I can get through this and will get through this," said Simpson, who lives in Fairport, New York, near Rochester. 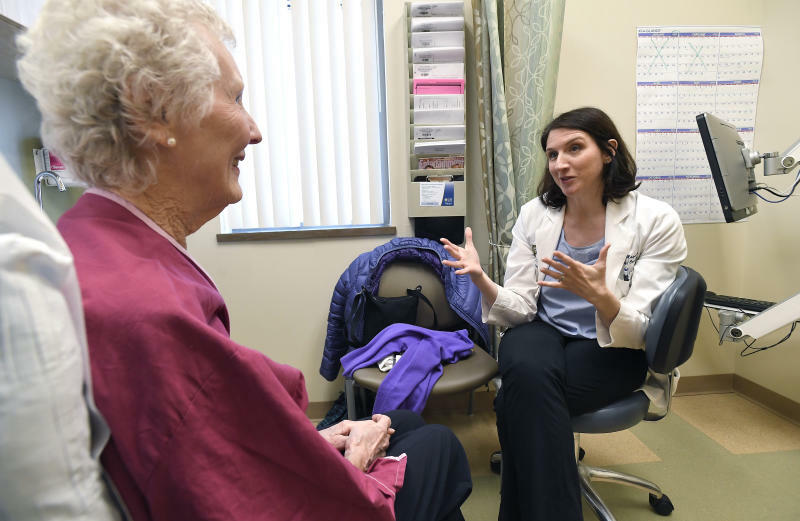 "We hear all the time about 'decision regret,'" she said, meaning patients who got harsh treatment but weren't unaware of risks and other options and who say, "I wish someone had told me this could happen." Mohile co-authored a recent study that found just 1 in 4 U.S. cancer specialists did the assessments. She said doctors say it takes too long and that patients don't want it. 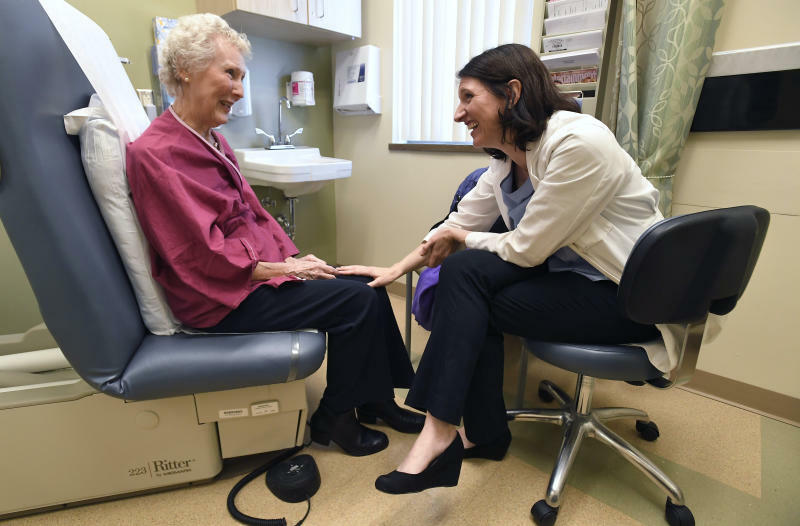 But she hears from patients and caregivers: "I'm so happy you're asking me about these things. Nobody ever asked me.'" One of Mohile's colleagues did Simpson's evaluation, which showed she was strong enough to endure a standard, aggressive three-drug chemotherapy combo for breast cancer. She chose a variation that was gentler but extended the treatment by several weeks. The evaluation showed "I wasn't in as that bad of shape as my age would indicate," Simpson said. Cancer "gave me a different perspective on what is important in life and what isn't and I'm still adjusting to that," Simpson said. 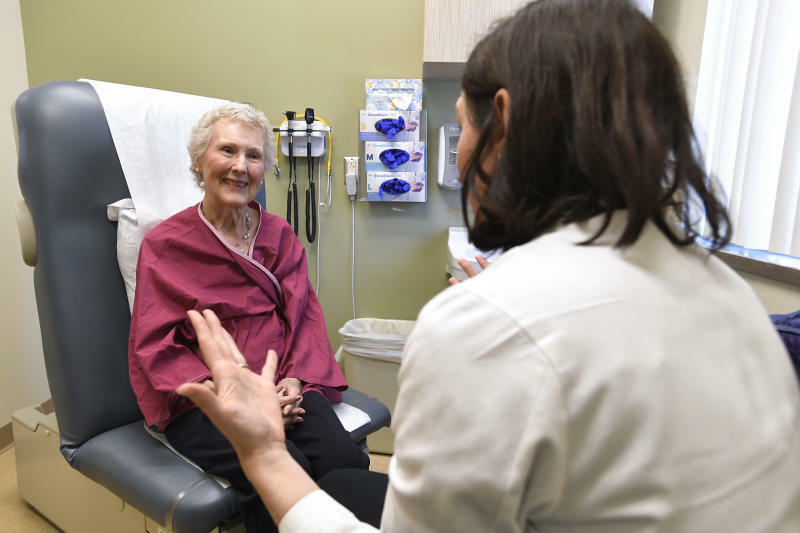 Dr. Hyman Muss, a geriatrics specialist at the University of North Carolina's Lineberger Comprehensive Cancer Center says there's no question the evaluations are important but insurance coverage is sometimes a problem. Medicare will pay for yearly physical exams but not geriatric assessments, he said. Doctors can sometimes squeeze the tests into other office visits, but there is no billing code for the exams, he said. Advocates note that the evaluations can include questionnaires that patients can fill out at home to shorten time in the doctor's office. Beverly Canin, 84, of Rhinebeck, New York, became an advocate after declining chemotherapy following surgery for early breast cancer 20 years ago. She didn't have an assessment, and says her doctor dismissed her concerns about harsh side effects and refused to consider other options. "The risks with older adults traditionally are overtreatment and undertreatment. What we need is more precision treatment," she said.